Understand the podiatry needs for your children. Well Heeled Podiatry is a very friendly, experienced Children’s Podiatry clinic. Our podiatrist has a fond interest in looking after your child’s lower limb development from when they are born into adulthood. Well Heeled Podiatry is highly experienced in Children’s Podiatry, from babies, to toddlers to adolescence, we are across it all. 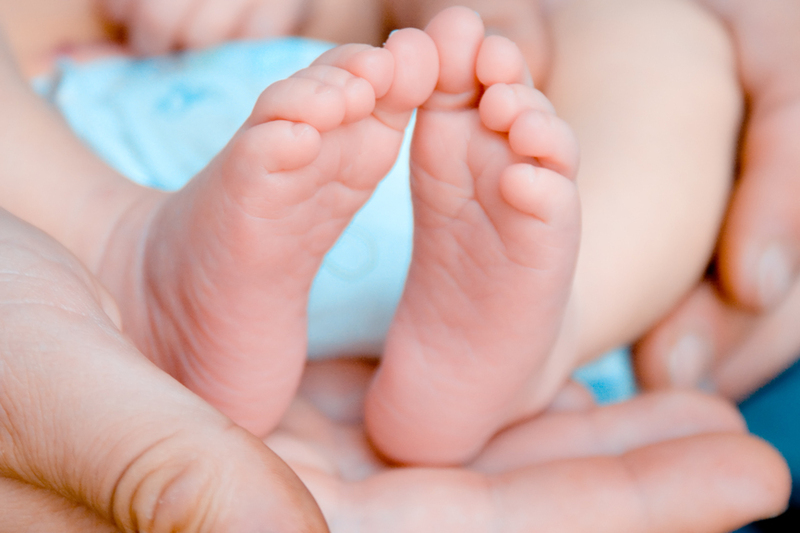 Your baby’s feet are not just a smaller version of an adult foot, they are very soft and flexible. Therefore abnormal pressures or stresses on bones and tissues can easily cause deformity. Babies and toddler’s feet grow very rapidly. It is important that this developmental process proceeds normally to allow normal function later in life. Majority of children’s foot conditions result from either trauma, hereditary factors and/or deformity. However inappropriate footwear can play a major role in exacerbating pre-existing conditions and/or accelerating the process of deformity. Inspect your baby’s feet and lower limbs regularly. If you notice something that does not appear normal you may want to seek a professional opinion. Regular monitoring and changing shoes, clothes and sock sizes to ensure there is enough room for growth. Allow free movement of the legs and feet, making sure blankets are not restrictive (i.e. lying uncovered to allow kicking and bending at the knees and hips, which will prepare your babies limbs for walking). Be aware that foot deformities will generally not grow out themselves and professional treatment and monitoring is advisable. The age of walking may differ significantly from child to child. Therefore it is important not to rush/force your baby to walk, it will happen within a time frame between 10 and 16 months. In fact, some baby walkers if used prematurely can place increased stress on their little bones and muscles. This causes detrimental effects to their lower limb development. When your toddler is learning to walk they receive important sensory information from the soles of their feet. It is important to allow your child to go barefoot regularly to help them develop balance, coordination and improve posture. Shoes that are hard and inflexible can make walking difficult and uncomfortable for your toddler. They are not necessary in the first couple of years of growth, as walking barefoot allows natural strengthening of the muscles, tendons and ligaments in the foot. Shoes should only be worn for protection outside and be very lightweight and flexible. Observe your toddler walking carefully. Look for any abnormalities in their gait such as intoeing, tip toe walking, severe knocked knees or bowed legs, as early intervention is important in improving your child’s prognosis. Many adult foot complications can stem from childhood or be present at birth. If you have a family history of foot complications or any concerns, it is important to have your child’s foot posture, walking and lower limb development assessed by a podiatrist. If foot misalignment issues are ignored throughout childhood it may result in foot, knee, hip and back complications later in life. Not keeping up with other children. It is also important to monitor and discourage poor sleeping and sitting positions (i.e. sleeping on stomach or sitting in a “W position”, where they are kneeling with feet turned out). Have your child’s footwear professionally fitted to prevent any footwear related complications during their developmental process. Do not use footwear that is second hand unless properly fitted and assessed. Check the soles of the shoe for wear (excessively worn shoes will cause as many problems as ill-fitting shoes). If you have any concerns with your child’s development and function then a visit to our Children’s Podiatry Centre is advised. Well Heeled Podiatry will provide a thorough assessment and lower limb examination to detect any underlying developmental defects of pathologies that may require intervention and treatment. Consultation with a paediatrician and other medical specialists may also be required for a multidisciplinary approach. If your child is very active and heavily involved in sport it may be a good idea to have your child assessed for risks of sport related foot and ankle injuries. Well Heeled Podiatry, if very experienced in Children’s Podiatry and can provide protective taping techniques to help minimise the risk of sprains or fractures and provide you and your child with supportive footwear advice. WARNING: This information is a guide only and does not replace professional podiatry advice. The content is provided by Well Heeled Podiatry for educational purposes only and does not replace the need for a face to face consultation with a podiatrist in order to accurately diagnose and treat the condition. Treatment and outcomes will vary between patients depending on the nature of the presenting complaint and subsequent diagnosis of condition.